Tarot Tuesday's Big Reveal for August 14! Here it is, Wildlings! The Big Reveal has come. Are you ready to see how well you did today? If you haven't done so yet, go to the Facebook Page, and choose your card. Directions and Rules are in the post. For those who have chosen, let's get to it. In a general context, The Star indicates hope for the future, inspiration and contentment. 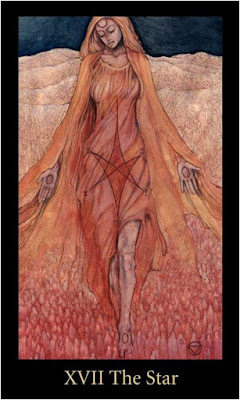 With this Major Arcana card in your Tarot spread you will find yourself feeling very positive, motivated and free. 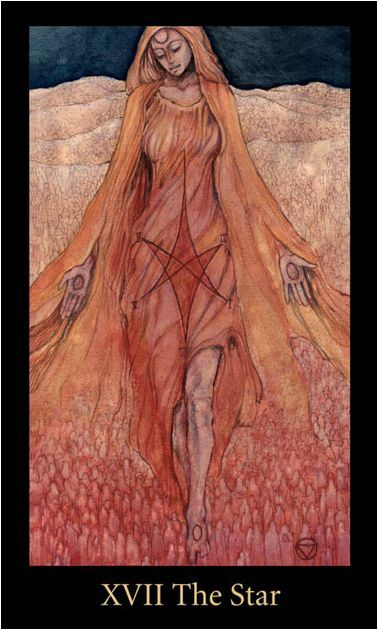 You will be feeling very serene and in tune with the universe as The Star is a card of spiritual connection. The Star is a very positive omen. It is the period of calm and stability that follows the storm that was The Tower. The Star indicates that you have come through your tough times with a renewed sense of yourself and the world around you, you are full of calm, well-balanced energy and you are open to healing the wounds of the past. Whatever mental, emotional, physical or spiritual issues you were experiencing are now behind you and you are ready to embrace what your future holds. Trust that the universe has a plan for you and trust the feeling you have that everything is going to be OK. You will be feeling confident in yourself and people will like you for who you are with this card in your Tarot reading. The Star can also indicate creativity and artistic flair, so now would be a great time to take up an artistic hobby. Key words: Hope, inspiration, creativity, calm, contentment, renewal, serenity, spirituality, healing. Yes, you aren't seeing things. This is the second week in a row for this card. It literally popped out of the deck when I was pulling it, so someone here needs to see this again. In a general context, the Three of Swords represents unhappiness, heartache, sorrow and sadness. 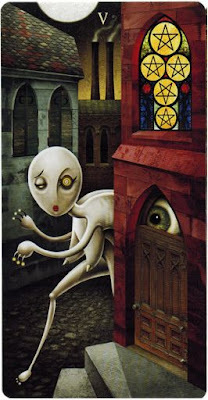 It is a Minor Arcana card of grief, loss, depression and tears and when it appears in your Tarot reading it generally indicates a period of difficulty or hardship, usually on an emotional level. Distraction, conflict, disillusion and serious misunderstanding are all represented by this card so whatever situation it signifies will bring with it confusion, upset and upheaval. 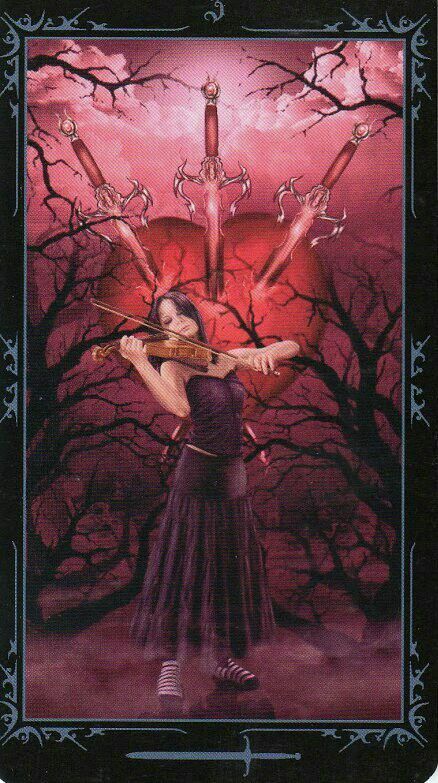 The Three of Swords also indicates depression, trauma, disorders, loneliness, absence and betrayal. You have suffered or will suffer a loss or betrayal of some kind when this card appears and not one that can easily be brushed over. You will be feeling this loss on a deep emotional level and you must give yourself time to process what has happened. Though it does represent hardship, this card is not all unwelcome news. The most difficult situations in our lives often teach us more about who we are, and what we are capable of doing, than the good times. Give yourself space and time to heal and learn all you can from the experience. If you need support, don’t be afraid to reach out to the people that love you. 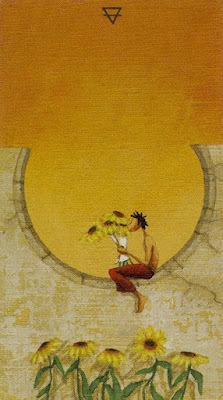 The Five of Pentacles is a tarot card that appears when economic times get hard. It shows up when we are losing faith in a relationship, an institution or just in ourselves. It is a card that illustrates us lacking faith in tough times. On a psychological level, the Five of Pentacles may indicate difficulty with your relationship to money and material things. If money becomes the primary motivating force in life and the gauge by which you judge your worth, the lack of it may produce anxiety and a sense of being excluded from the good things money can provide. For example, if you are unfortunate enough to encounter financial difficulties such as the loss of employment or an investment gone belly-up, you may fall into the trap of losing faith in your ability to recreate a positive financial situation for yourself. Therefore, you should not only consider your actual financial circumstances but also your attitudes toward money. What fears do you have around money and wealth? Are you anxious about never having enough, or do you have faith in your ability to manifest what you need to live a prosperous, fulfilled life no matter what your circumstances? Often wealth is based as much on your psychological state as your actual financial state. So, it wasn't all happiness and light for everyone today. How are you feeling about your choice? Does it fit? Do you feel a connection to the message? What other messages did you glean from your choice today? How can you embrace the message and grow from it? Come, join us on the Facebook page, to discuss and support each other. Let me know if there's anything I can do to help you as you grow.